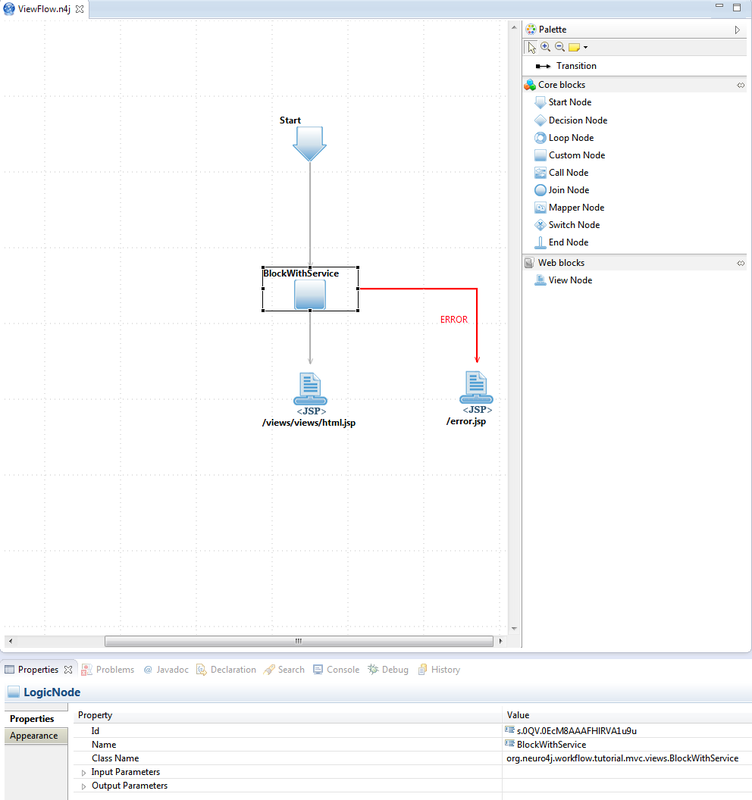 This tutorial shows how to use Neuro4j Workflow with SpringMVC. CustomBlock which calls service. Spring will set service implementation during initialization. 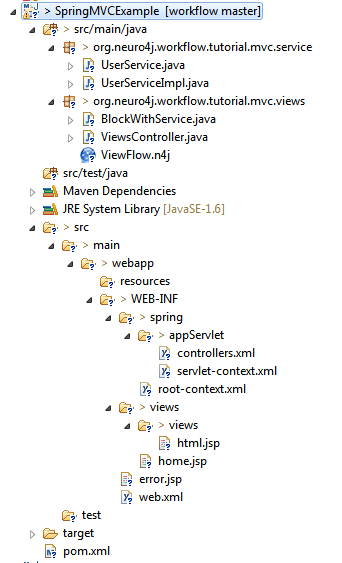 servlet-context.xml defines <beans:bean class="org.neuro4j.workflow.springmvc.WorkflowWebApplicationListener" />.. Bean will set up initializer for CustomBlock. 5. Start your tomcat and deploy war to tomcat_home/webapps folder. Open http://localhost:8080/SpringMVCExample/ in your browser. Click on link to call SpringMVC controller.